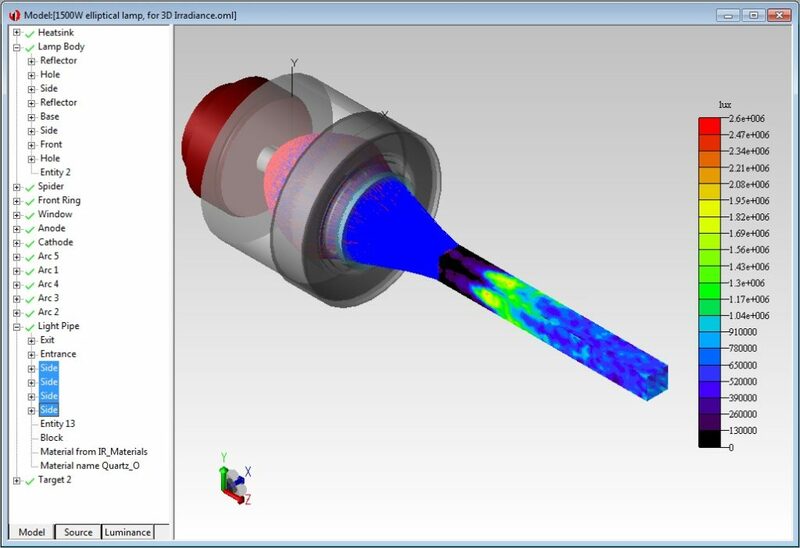 Optical analysis and simulation by TracePro, simulate optical systems. Simulate optical systems and predict performance. 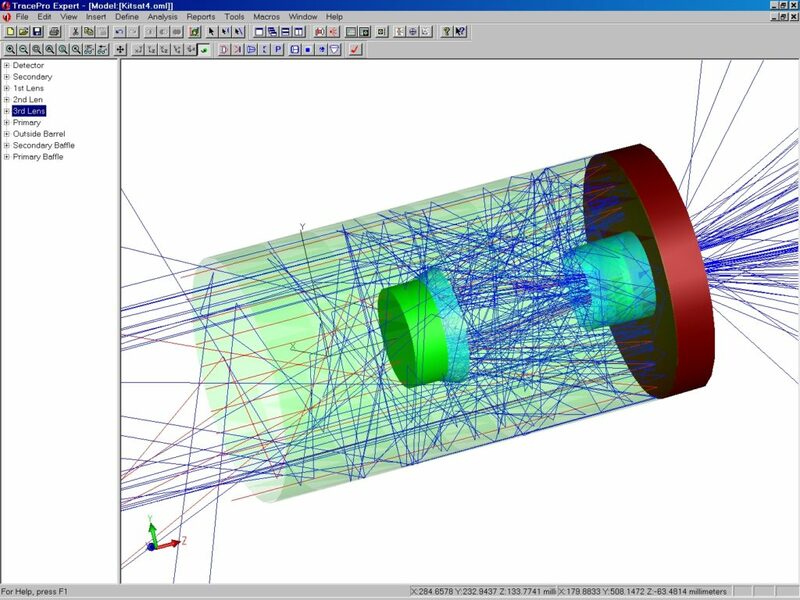 TracePro is used extensively for optical analysis and simulation. Model and design optics in the ultraviolet, infrared and visible spectra. TracePro is an optical design analysis software for simulation and modeling by ray tracing. Models are created by importing from a CAD program or lens design program, or by directly creating the solid geometry. Source rays propagate through the model with portions of the flux of each ray allocated for absorption, specular reflection and transmission, and reflective and transmissive scattering. TracePro can simulate many components and aspects of optical system performance, including stray light, polarization effects, diffraction gratings, bulk scatter, fluorescence, throughput and self emission.